Wellspring Capital Management has signed a new 15-year, 14,698-square-foot lease to occupy the entire penthouse floor at Fisher Brothers’ 605 Third Ave. The private equity firm will relocate from 390 Park Avenue to the top floor of the 44-story 605 Third later this year. “With abundant natural light and striking panoramic views,” the 605 Third penthouse represented “the perfect fit for Wellspring Capital Management, which was seeking an exceptional office environment in the heart of Midtown,” said Winston Fisher. Since completing a $25-million capital improvement program in early 2016, Fisher Brothers has secured nearly 415,000 square feet of leases at 605 Third. The tower is now 96% leased. Michael Geoghegan and Paul Stimpfle of CBRE represented Wellspring. 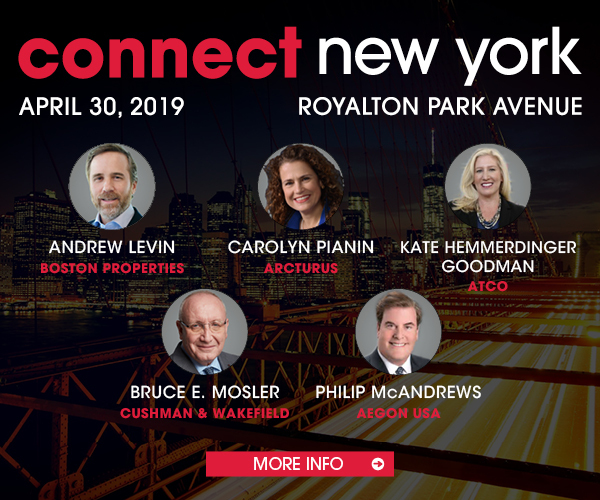 Fisher Brothers was represented in-house by Marc Packman and Clark Briffel, and by Cushman & Wakefield’s Bruce Mosler, Louis D’Avanzo, Andrew Ross, Michael Baraldi and Maria Travlos.